ScubaPro have just released a new diving computer, the Mantis M1 with “Human Factor Diving” (TM). A nice use of a term which has grabbed the media’s attention recently, but I think that this takes ‘Human Factor’ a little far. From reading the press release here the ‘Human Factor’ appears to relate to ‘workload’ monitoring and the skin temperature sensors. There appears to be more than a little marketing hype here, as I haven’t seen anything published which quantitatively links breathing rate, heart rate and skin temperature to decompression risk, which is ultimately what a dive computer should be there for. Heart rate (HR), when provided through a dive computer underwater, should not be something that divers are worried about. Diving should be relaxing and your HR should be at a level similar to your resting HR. If your HR goes into overdrive, you either know about it (you are diving in a high current or a high flow caves) or you are panicking / struggling and I doubt you care what your HR is! Your gas consumption rate will have likely gone through the roof too so your bottom time is going to be limited, therefore your overall exposure will also be reduced! In terms of the skin temperature, Clarke et al, published a paper within the March 2015 SPUMS journal (DHM Volume 45, No 1, March 2015) which discussed the NEDU paper (1) on decompression risk when the diver was warm (bottom)/warm (deco), warm/cold, cold/warm. The paper highlighted that the environment in which the NEDU study took place, was much warmer than normal divers conduct their dives in. As such, the paper ended with the conclusion “Thermoneutral temperatures for swim-suited divers are reported to be 93-97°F (34-36°C) for divers at rest and 90°F (32°C) during light to moderate work. So a skin temperature of 80°F (27°C) is indeed cold for long-duration dives. If your skin temperature is less than this, then you are venturing into the unknown; NEDU’s results may not apply.” Given this, I am not sure how the algorithm is going to be modified in a robust and quantifiable manner given the skin temperatures that may be encountered. 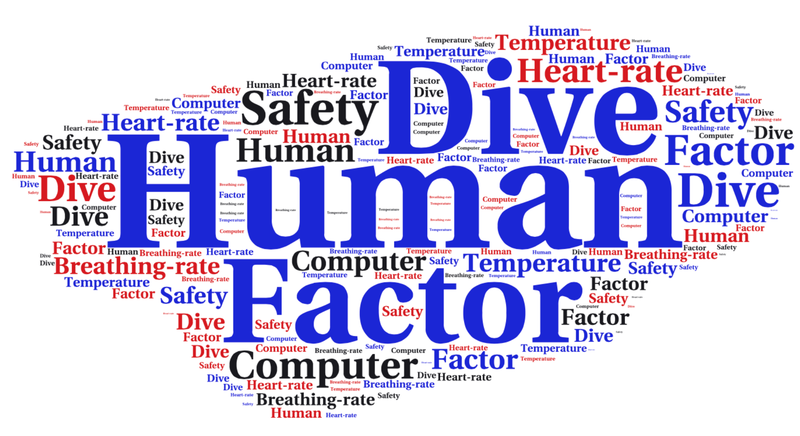 From my own research, the human factors which would have the greatest impact on diving safety would be the skills to attain and maintain effective buoyancy (+/- 1-2m should not be difficult for AOW onwards for every dive), and learning about decision making (active and passive) and what leads to ‘bad’ decisions should be part of EVERY dive course. As part of this process there should be clear guidance and teaching on the power that peer pressure and authority gradients have as a negative effect on human performance. Divers are some of the worst when it comes to buying the latest ‘shiny toy’. As such, I would suggest that you save your money, get a cheap computer that covers your needs now, and then getting some very effective training in buoyancy and team work. A computer is unlikely to save your life on every dive, but good buoyancy skills, great situational awareness and good decision making will certainly improve your chances of survival whenever you go diving.